Jimmy Garcia is not a man who does things by halves. From cooking elaborate five-course meals for his university friends to expanding his culinary knowledge by catering for Arabic royalty on yachts for three summers, his enthusiasm and zest for life are clear. His impressive skills have gained him a wide and dedicated following. 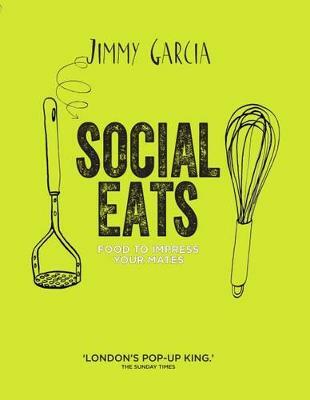 In Social Eats, he shares his best pop-up secrets to show you how to turn your meals into gastronomic events to be remembered. Divided into three sections - Preparty (salads and quick fixes), At the Party (cocktails, canapes & little dishes; crowd pleasers; the great outdoors; celebrations), and After Party (breakfast, brunch & comfort food) - Social Eats is packed with fun and flavour and features recipes whose variety and imagination are sure to inspire even the most jaded palate.